Two members of our Comco team, Dr. Jason McNary and Colin Weightman, contributed chapter 3.42 “Micro Blasting” in Design for Advanced Manufacturing: Technologies and Processes, edited by LaRoux Gillespie and published by McGraw-Hill Education this year. McNary and Weightman detail the basic tenants of the micro-abrasive blasting process. They also cover how it is used across industries, the latest technology available, and case studies for specific applications. This entire resource offers practical instructions, helpful guides, and charts for quick reference. 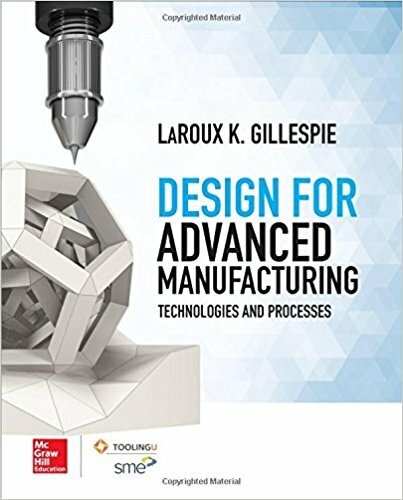 Edited by LaRoux Gillespie, President Emeritus of the Society of Manufacturing Engineers, Design for Advanced Manufacturing features contributions from a host of international manufacturing and design experts. It provides thorough explanations of the entire range of advanced manufacturing processes and technologies as well as practical instructions and technical guidance. Supplemental content includes tolerance charts, graphs, curriculum guides, certification practice, and videos. Design for Advanced Manufacturing: Technologies and Process is available for purchase McGraw-Hill and from most major booksellers. It makes an excellent resource for your production and lab library.